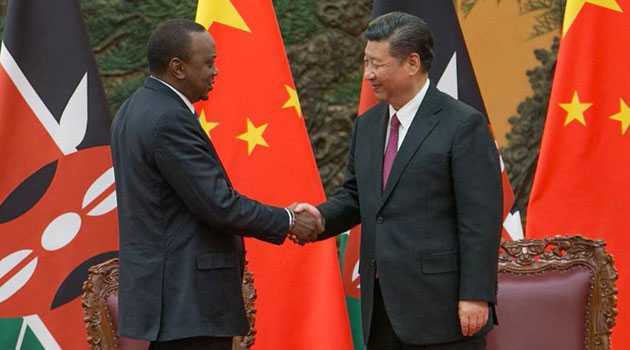 By PSCU, HAVANA, Cuba, Mar 18 – President Uhuru Kenyatta has congratulated President Xi Jinping following his re-election as the President of the People’s Republic of China. President Kenyatta, who is on a State visit to Cuba, said President Xi’s re-election has fully demonstrated the strong confidence of the Chinese people in his vision and wisdom in the governance of China and international affairs. “On behalf of the Government and the people of Kenya and on my own behalf, I wish to extend my warmest congratulations on Your Excellency’s re-election as President of the People’s Republic of China,” President Kenyatta said in his congratulatory message to President Xi. President Kenyatta said he was pleased that over the past few years Kenya-China relations have advanced by leaps and bounds. He pointed out that bilateral cooperation between the two countries has scored tremendous achievements that are significantly improving the lives of millions of Kenyans, citing the construction of the Standard Gauge Railway as an example. “I believe the coming years will mark another milestone in the development of our bilateral relations, and I look forward to working more closely with Your Excellency to push forward our Comprehensive Strategic Cooperative Partnership for further accomplishments,” President Kenyatta said. He wished President Xi good health and happiness, as well as the continued prosperity of the People’s Republic of China.